The next stop for us on our mini bus adventures during the week of field trips was down to The Bowes Museum in Newgate, Durham, England. After an hour and fifteen minute drive south and to the west, we arrived to the large museum and garden. 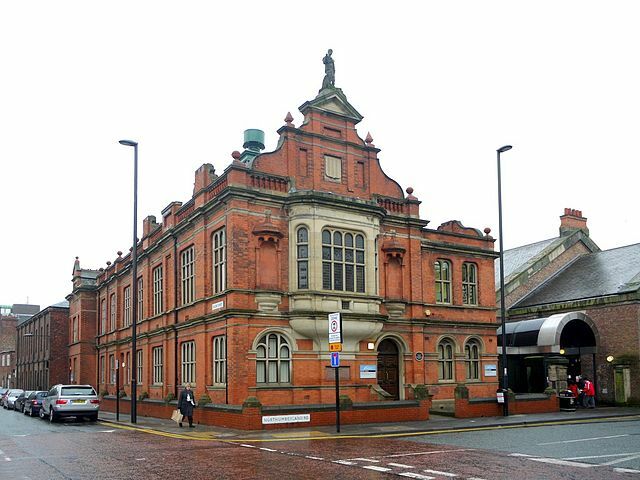 The French Neapolitan style building was purpose built to be a public museum by John Bowes (the illegitimate son of the 10th Earl of Strathmore) and his wife Josephine Chevalier. During their lifetime the couple collected an immense amount of china, silver, jewels, furniture, and pictures ranging from El Greco and Van Dyck to Turner and Toulouse- Lautrec. Unfortunately the museum opened to the public after both died. The museum features a top quality cafe and encourages frequent and regular visits from those who live around it. There are lots of displays for children to play with and learn from, even including an exhibit on illustrations in a popular childrens book while we were there. The museum has a conservation department and there are displays relating to conservation located through out the museum. Photography of the exhibits is encouraged, as is engaging with social media. Once again we were all on the hunt for environmental management tools in the galleries, as well as noting and enjoying their unique and innovative exhibit design and lighting design. Unfortunately we were there during working on their heating system, so the galleries were a bit cold, but we enjoyed our day there thoroughly! The museum is will known for its silver swan automaton (a self-operating machine). Wonderfully the museum runs the swan once a day, every day at 2pm. Many other museums with automata do not work or they do not run them, rather electing to show a video of what it would do if it were run. The French swan ducks its head down into the glass rod river and plucks up a silver fish which it promptly eats. A wonderful display and incredible machinery considering it was made in the late 1700s! Next up is the Beamish Outdoor Museum! Next stop during our week of field trips was out about 45 minutes to the north and east along the coastline- Seaton Delaval Hall. We were supposed to spend a week working here, however as I mentioned in an earlier post, the schedules just simply didn’t match. Instead we were able to visit on a day the hall is closed to the public. We were given full run of the property. We were also able to take photos in the no photo areas, though I can’t share those images here in this public forum. Built between 1719-1730 for Admiral Delaval, the house is an excellent example of the English Baroque style. The estate features the central hall, stables, servants quarters, gardens, and a Norman Chapel (from the Norman settlement on the property in the 900s). The hall has a remarkable history. In 1822 the central hall suffered a great fire gutting the interior down to a shell and obliterating the roof. The marble floor did survive, though it deeply charred the 6 female statues in the entrance hall. Due to the fire, the family moved into what was previously the servants quarters. After being left open to the elements, the central hall received a new roof in 1862, though the interior hall remained charred and drafty. Due the hall being intermittently lived in, the hall was home to squatters from the late 1860s until the 1940s. During World War II, the hall and stables were conscripted into use by English army as a prison for German soldiers. German graffiti and a notice on how to appropriate roll up their bedding is still visible in the upper portions of the stable. Empty wine bottles remain in the cellar below the central house. After the war, the house was abandoned again until the 1980s when the Baron of Hastings moved into the servants quarters. Due to the disrepair of the buildings and a large inheritance tax, the hall was sold to the National Trust in 2009. Beginning in 2010, the hall was reopened to the public despite needing major work. During 2013 the servants quarters were completely rewired, brought up to fire code, added a security system, and it was re-roofed to tackle dampness and mold issues. The National Trust (similar to our National Park Service) has been utilizing the property as an opportunity to discuss the need for and sizeable costs of conservation for a property of this type. Conservation work at the property is part of their exhibition schedule and presents a compelling message to visitors. 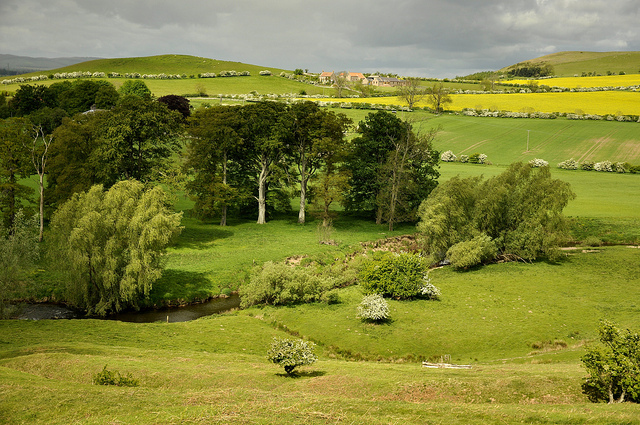 The National Trust and the Hall were recently awarded a £500,000 (approx. $820,000) grant to x-ray and triage conserve the statues in the central hall, clean and reset the black and white marble floors, refit all the central hall windows and doors, as well as to consolidate the external stonework/masonry and the roof. On the day we visited the hall featured a 100% relative humidity and a temperature of 0º C (32º F) indoors! Brr!!! All of this work will help to stabilize the hall, prevent it from raining inside the hall due to humidity, make visitors more comfortable, and most importantly, prevent the building from being condemned. The building will never been returned to its former glory as it would be exorbitantly expensive, as well as decrease the teaching value of the property on the ravages of fire. Plus it would displace the family of bats living in the eaves of the central hall! Our tour was led by the site manager and a National Trust conservator. Both were frank with us on the many issues and limitations of the property, while also sharing the joys and surprises of working there. The house is VERY responsive to changes in weather- one day the upper colonnade windows may have condensation and mildew, while the downstairs floor is ‘sweating’ salts, only to return the next day and the property is stable with no issues. We were able to tour all parts of the property including the upper level of the stables. This area is not currently open to the public due to safety issues of steep stairs, mold, and grime. It is in the upper level of the stables the soldier graffiti and signs are present. Very cool! 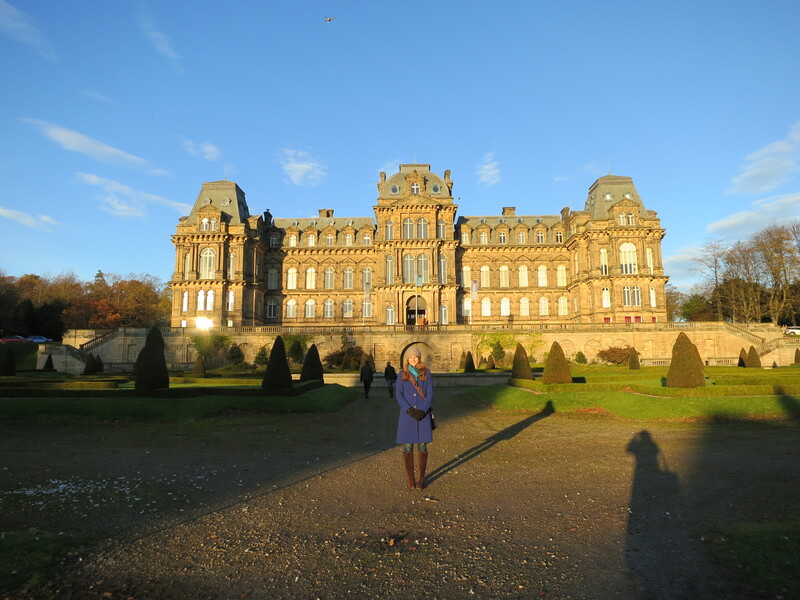 Next stop, the Bowes Museum in Newgate, Durham, England! 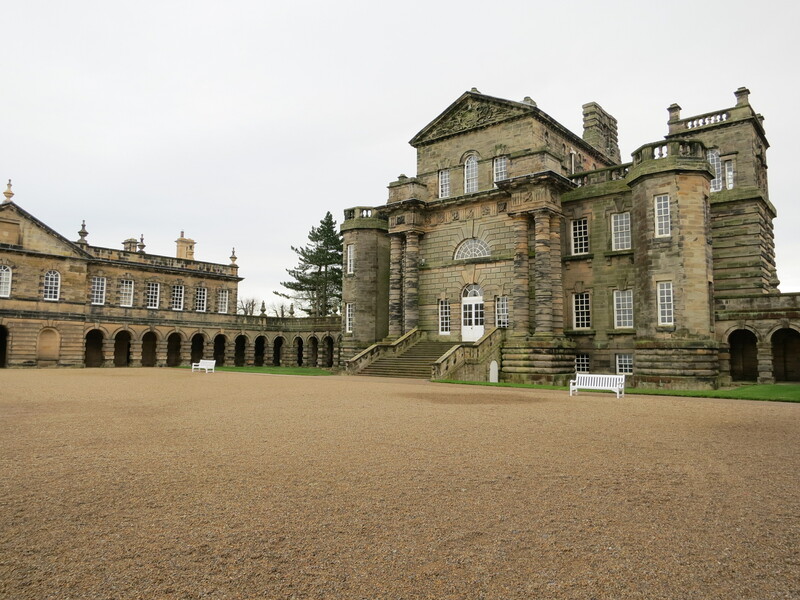 As the semester began to wrap up, our conservation studies tutor (professor) scheduled our class to work using our new preventative conservation knowledge for a full week at a nearby National Trust historic house property Seaton Delaval. Unfortunately due to scheduling, the week we had available in our schedule did not match up with any projects we could complete for them. As we had a week of mini buses booked, what were we to do to fill our time? Our class decided to fill these extra days with field trips to nearby museums in the North that aren’t easily accessed by public transportation. We filled our days with trips to the Durham Oriental Museum, Seaton Delaval, The Bowes Museum, and the Beamish Outdoor Museum. As the paintings conservation class representative, I served as the trip liaison and helped our tutor book our trips. It was a bit crazy at times, but we had a fun week driving around the northeast with our university driver Ronnie! The Durham Oriental Museum is in conjunction with Durham University. 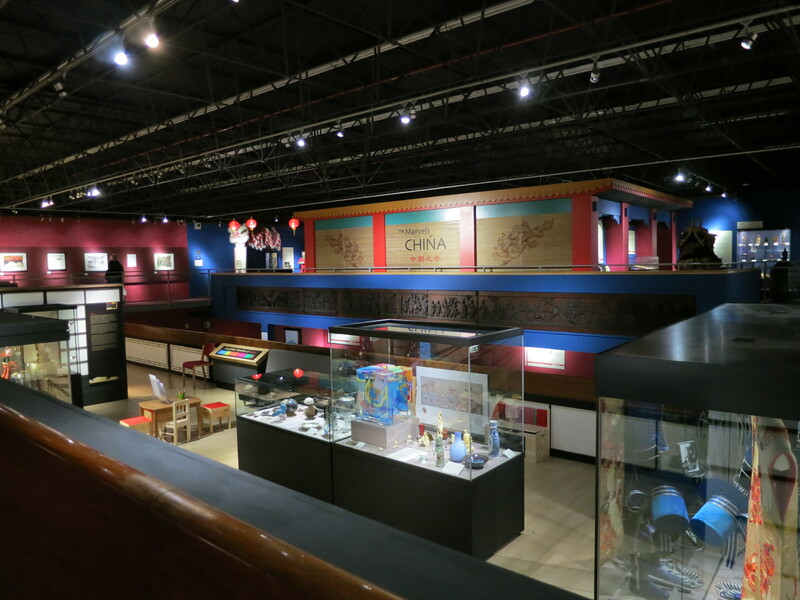 The museum features, you guessed it, archaeological, as well as, contemporary objects from a variety of Asian cultures and civilizations. Despite being a small museum, the collection is extensive and interesting; it spans from ancient Egypt to modern Korea. It is obvious the museum focuses on engaging with children as many didactics were present for them (we may have engaged in these as well…) During our visit, we also were on the look out for their environmental monitoring equipment such as thermometers, hygrometers (measuring relative humidity), security systems, pest monitoring, and the like. We finished out our visit with a quick trip down into Durham to grab lunch at a fish and chippery, as well as to check out some of the charity shops.